Often times Customers ask for recommendations of Project Management Software that will integrate well with Salesforce. Which is when we suggest just building that directly into Salesforce. It's quick and relatively inexpensive. Find out why Salesforce is great for Project Management. Summer 17: Lots of Lightning, but will there be Thunder? Lightning is abundant this Summer 17 release, with fewer and fewer features for Classic but is not the defining moment for the new and improved experience? Are you a do-it-yourselfer with the time, know-how, and fortitude to go it alone or do you need a little help getting started. Either way give this post a quick once-over, a little food for thought before you start your Salesforce implementation. Salesforce Spring '17: Our top 12 picks for new features. Here we go again. Another release, another fun set of new features. With Spring '17 newly released this past weekend, I dove into 455 pages of release notes to uncover the things I thought would make the most impact to Salesforce Customers. Do you have a lot of Data, or are concerned about running out of Storage space? or not even sure what your current storage situation is? Well today's post is everything you need to know about Salesforce Storage Limits. Have you met Salesforce's new Automation tool Process Builder? It's not exactly new, but it's not exactly well known either. So we thought it was about time to arrange an introduction and discuss some of it's pros and cons so you can decide if you'd like to give it a try. To Automate or not to Automate, that is the Question. Whether 'tis better to suffer the hum-drum repetitiveness of routine processes or create a set-it-and-forget it approach. Don't let the complexities of your security needs muddy your implementation. Think it through and make your life easier. This post will help give you some pointers on things you should be considering in advance of setting up your Salesforce Security Model. Salesforce Winter '17 Release is upon us and new features abound. Find out some of the new goodies in store for you this release, and where we're at with Lightning. Will you want to make the switch after this release? Will Summer 16' be the release that causes Salesforce users to storm over to the new Lightning Experience? Find out what's new with Lightning in Summer '16 and our assessment of whether or not now is the time to switch. Summer '16 is here and there is lots to be excited about. Check out this month's post to get the highlights reel. Salesforce announces new changes to their licensing tier and the debate over Professional vs Enterprise continues. Find out what changes are in store. Don't be intimidated by the undertaking of migrating data from your old system over to Salesforce. Take a deep breath, ask some key questions, think it through. And maybe get a little bit of help. It won't be as bad as you think. Scratching your head trying to make sense of Salesforce's approval process? You're not alone. Join us for a quick tutorial. Once your done, with any luck, you'll feel much more comfortable with the creation process. Spring '16 is Here: Is Lightning ready now? Are you ready for Lightning, or is Lightning ready for you? Spring '16 helps bring Salesforce closer to feature parity with Salesforce Classic. The question is, will it be enough to get you to switch? How do I know which version of Salesforce.com I need? In our 4th installment we will look at automation and what is possible in the two different license tiers. Almost as common as the use of Professional and Enterprise edition is the number of users that debate which version they should have. It's not always a clear cut decision. In this third part we discuss which version is the best if you need to integrate Salesforce with other Software Systems. Almost as common as the use of Professional and Enterprise edition is the number of users that debate which version they should have. It's not always a clear cut decision. In this second part we discuss which version is the best if you need to manage multiple departments. How do I know which version of Salesforce.com I need? This series will explain the situations where you will need Enterprise, and the cases where you can get along just fine with Professional edition. 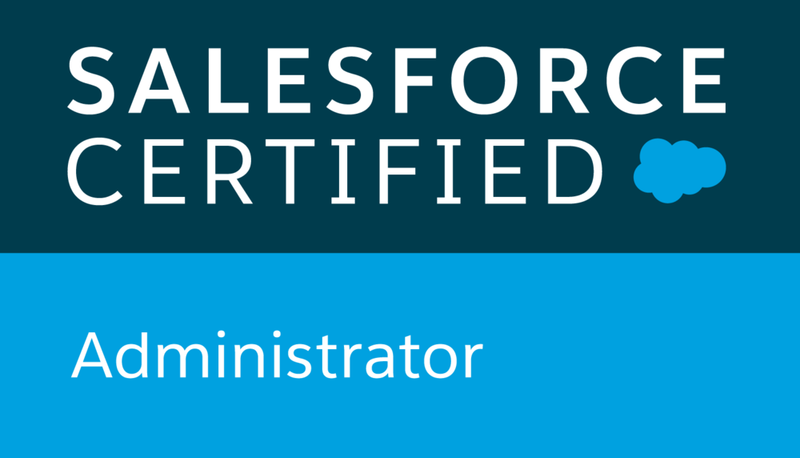 Salesforce Summer '15 is Here! The smell of fresh cut grass, a cool summer breeze, fire works, sun screen, the sound of the ice cream man, and new Salesforce Features....Yup Summer '15 is officially here and it has some goodies for everyone. I thought I would take a few minutes this month and outline some of the things we are most excited about.